GlobalPlatform is a non-profit industry association driven by over 100 member companies. Members share a common goal to develop GlobalPlatform’s specifications, which are today highly regarded as the international standard for enabling digital services and devices to be trusted and securely managed throughout their lifecycle. 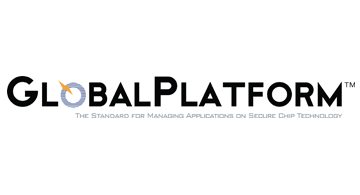 GlobalPlatform protects digital services by standardizing and certifying a security hardware/firmware combination, known as a secure component, which acts as an on-device trust anchor. This facilitates collaboration between service providers and device manufacturers, empowering them to ensure adequate security within all devices to protect against threats. GlobalPlatform specifications also standardize the secure management of digital services and devices once deployed in the field. Altogether, GlobalPlatform enables convenient and secure digital service delivery to end users, while supporting privacy, regardless of market sector or device type. Devices secured by GlobalPlatform include smartphones, tablets, set top boxes, wearables, connected cars, other Internet-of-Things (IoT) devices and smart cards. The technology’s widespread global adoption delivers cost and time-to-market efficiencies to all. Market sectors adopting GlobalPlatform technology include payments, telecoms, transportation, automotive, smart cities, smart home, utilities, healthcare, premium content, government and enterprise ID.